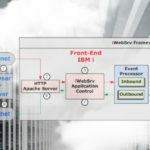 e-PFR’s flagship product and service, iWebSrv, is a web services framework uniquely designed and architected for IBM i customers, that provides a secure, robust, end-to-end web services solution that meets the demands of the smallest to the largest organizations. iWebSrv significantly reduces application implementation time and expense and facilitates ease of implementation worldwide using the latest and most effective Web services and IBM i software, tools and products. Obtaining data from your business information systems for eCommerce or expanded operations can be an enormous and time-consuming task. If your systems are not flexible or extensible, if they weren’t setup to give you what you need, or if they’re just too expensive to upgrade then you’re severely handicapped when it comes to getting essential and timely data to your system users, sales teams, suppliers and customers. Our business is helping you to eliminate these limitations. Many companies are employing the web services to extend their business reach and better service their customers, suppliers and partners through faster and higher quality data exchange. But in many cases, the integration of Web capabilities with Midrange business systems and applications has not kept pace. A lot of time goes into making requests and exchanging data between the two platforms. e-PFR’s technical and business experience offers clients an excellent opportunity to better couple these platforms at a fraction of the time and cost than that required of traditional methods. It was through a variety of software developments to provide better platform and system interaction that the inspiration came for the founding of e-PFR. Matt Henderson, Founder and President – Matt is the inspiration for and chief architect of software products and services provided by e-PFR. He has served in the software development and management business for almost 30 years, with a concentration on IBM Midrange and Web platforms. His experience encompasses software design, development and management as well as business process consulting and engineering in many industries and businesses including retail, manufacturing, transportation and finance. Radial, Inc. (eBay Enterprise), Restoration Hardware, PACCAR, West Marine, Stein Mart, Perfumania, Williams Sonoma and Specialty Brands are among the major clients for whom he has provided services. Jim Wallace, Vice President – Jim oversees Professional Services, Sales and Marketing activities for e-PFR. He has extensive experience in software development, consulting project management and process engineering at a variety of Fortune 1,000 and SMB firms engaged in manufacturing and healthcare. Before joining e-PFR was Regional Vice President, Professional Services at PeopleSoft, Director of Professional Services at Red Pepper Software and President of Wallace and Company, a software consulting business. He is a graduate of Woodbury University with a BS in Business.